Although Ch'ava closed over a year ago, its sign had been nearby in storage. 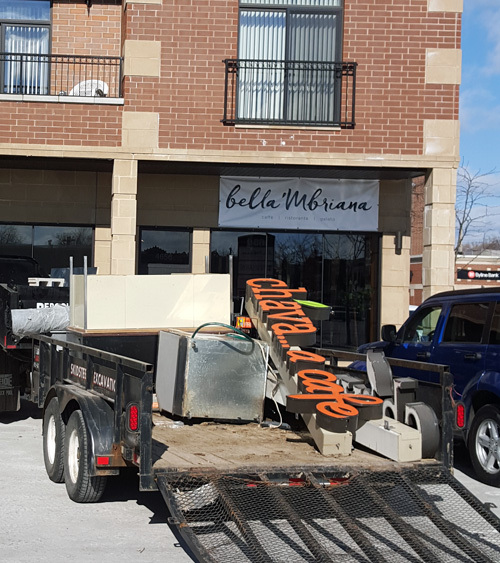 Bella'Mbriana is proving itself to be a worthy successor in taking over the space at 4656 North Clark. On Friday, the last vestiges of Ch'ava got taken away on the back of a truck.